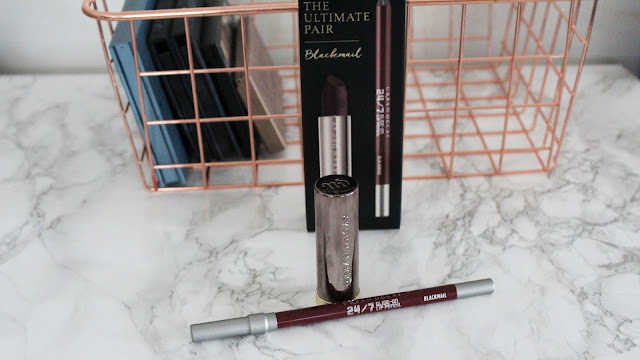 "It's the ultimate pair for ultra long wear - together in one sleek package. The Ultimate Pair by Urban Decay contains a full-size Vice Lipstick in one of UD's bestselling shades along with a matching full-size 24/7 Glide-On Lip Pencil so you can create an addictive lip look that really lasts. 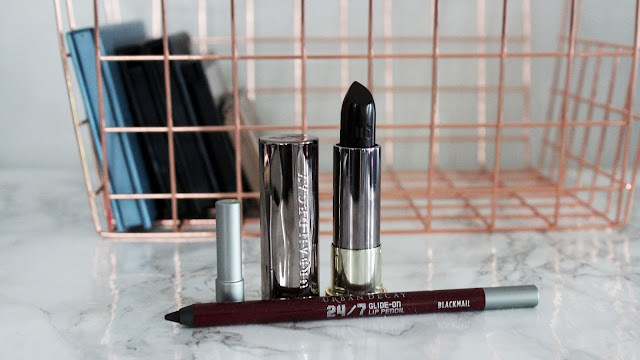 Get primed and ready for action with 24/7 Glide-On Lip Pencil. This waterproof liner glides on smoothly to prime AND define - for long-lasting lip color and clean lines. Smooch. Pout. Smack. Nibble. Lick. 24/7 stays put through everything (yes, EVERYTHING) you do. UD's waterproof formula glides on smoothly, stays creamy and defines your lips with gorgeous color. And unlike a lot of other waterproof pencils, 24/7 never feels dry or cakey. Moisturizing vitamin E, jojoba oil and cottonseed oil nourish your lips every time you reapply. After you've primed your lips with 24/7, apply Vice Lipstick. Just one swipe provides an unbelievable laydown of color. The pigment load is insane! And every shade applies smoothly (without dragging or skipping), hugs lips, and feels amazing! UD's proprietary Pigment Infusion System gives the formula its super-creamy texture, rich payout and superior color dispersion. Plus, this creamy formula is loaded with nourishing ingredients. Yummy Butter Blend comforts, hydrates and enhances, leaving lips soft and conditioned, never dry. Aloe vera, jojoba, avocado and babassu oils nourish and soften lips. Illipe butter (derived from Malaysian illipe trees) provides long-lasting moisture. And vitamin C and vitamin E provide a hit of antioxidants." "The pigment load in Vice Lipstick is insane! Just one swipe provides an unbelievable laydown of color. And every shade applies smoothly (without dragging or skipping), hugs lips, and feels amazing! Our proprietary Pigment Infusion System™ gives the formula its super-creamy texture, rich payout and superior color dispersion." "Part of the 24/7 family, our long-lasting, waterproof formula glides on smoothly, stays creamy and defines your lips with gorgeous color. And unlike a lot of waterproof pencils (we won’t name names), 24/7 never feels dry or cakey. Moisturizing vitamin E, jojoba oil and cottonseed oil nourish your lips every time you reapply. And shade-matched barrels make it easy to find the exact color you need (no matter how crammed your bag is)." Blackmail is a regular shade with UD and will remain available after the set is no longer for sale. 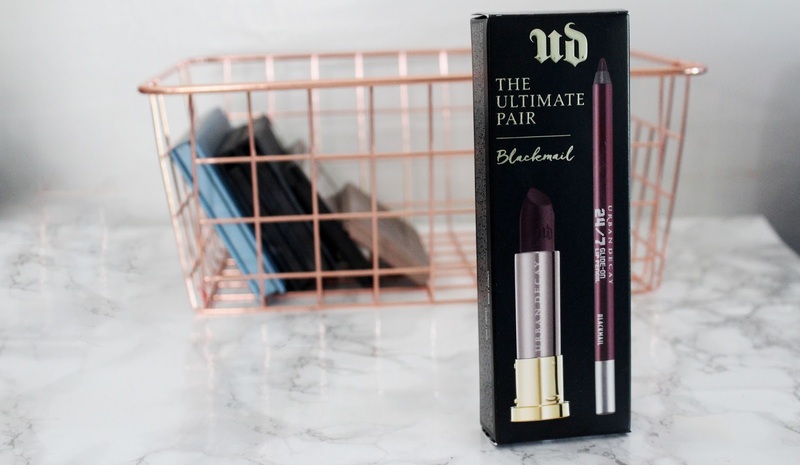 The Ultimate pair is simply a 2 for 1 set that contains the full size of both products. 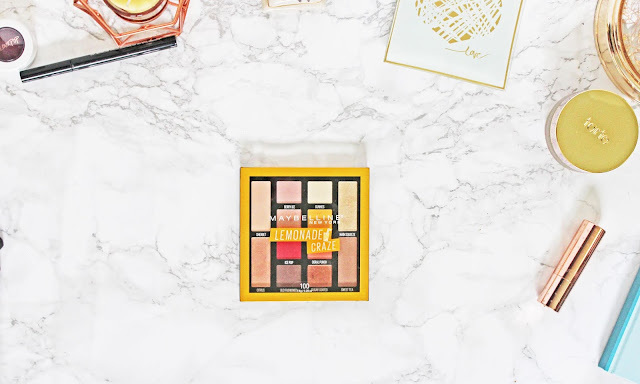 I was so excited to see this set at Ulta! I got my first UK lipstick in a set just like this! shades 69 and F-bomb. These sets are always awesome! The lipsticks are $17 and were $22 back then and the liners are $20. The fact the this set is full size and is only $22 is amazing! I got mine with Ulta points so I only paid $20. I still can't believe the deal! I just reviewed this not too long ago. I love these lipsticks. Blackmail is one of the comfort matte finish shades so it's matte but is still moisturizing to the lips. That can make it look a little shiny from time to time. This lipstick is smooth and creamy. It is matte but can have a little shine as I said but that can be fixed with a tissue blot. It wears nice on the lips and didn't flake or blot. 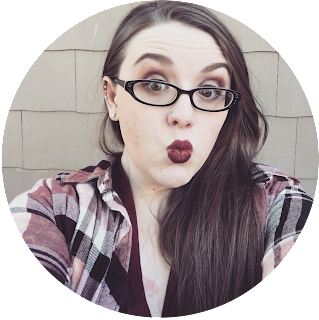 I wore it for another comfort matte shade for about 4-6 hours and it stayed well. 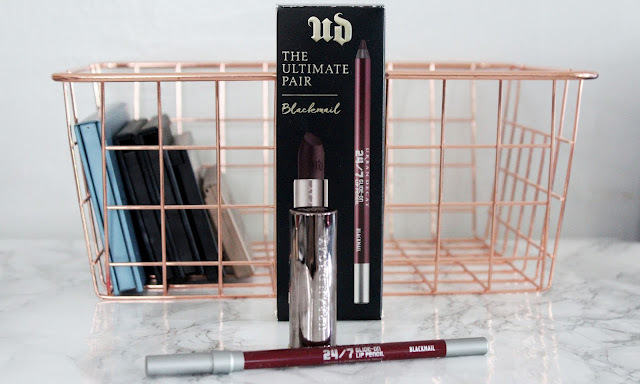 I got the shade Bad Blood when the matte shades first launched. I love it too. This liner is so smooth! It's seriously just like butter. It's so pigmented and matte. The liner dries completely so if you wear it by itself it doesn't have any transfer. It's isn't drying to the lip after it dries which is great. I love this liner! I adore this color! 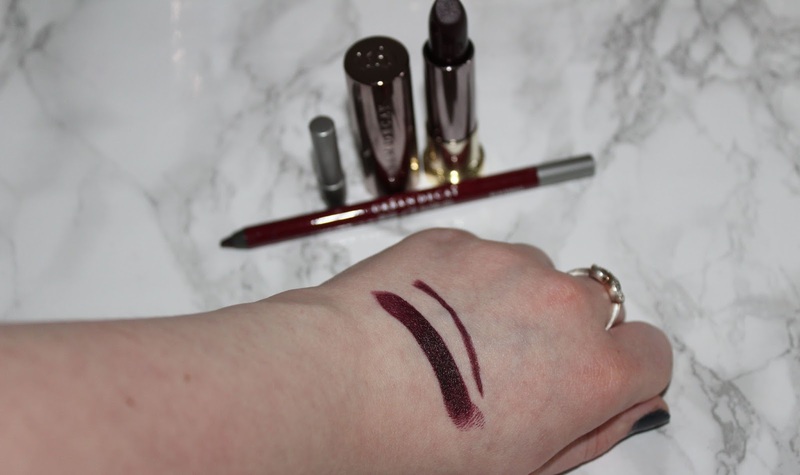 Urban Decay describes it as a "deep berry wine." It is such a pretty deep purple! As dark as they are I expected staining but their wasn't any. 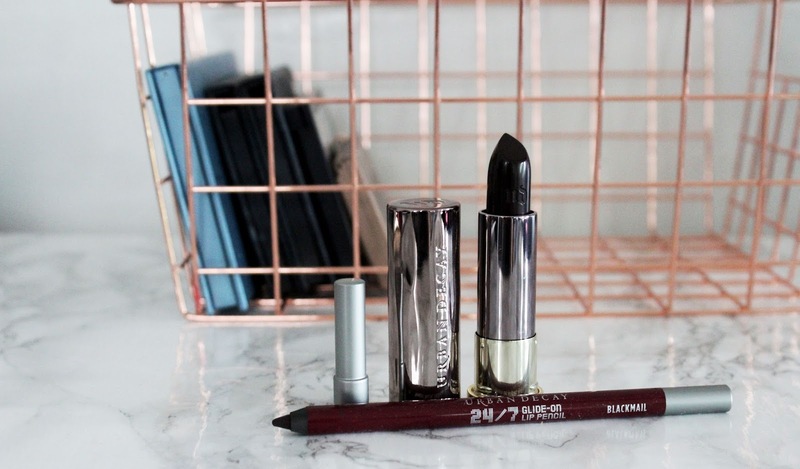 I adore both the Lipstick and the liner! Was it worth the hype? There was a little bit of hype around them and then when they got revamped they were everywhere! I have to say I really love them and I think I will be buying more. Was it worth the price? I think the lipstick and liner are worth their price tags alone but the set is a steal! 100% Worth the price! I love this set! I adore the lipstick and the liner and the color is amazing! 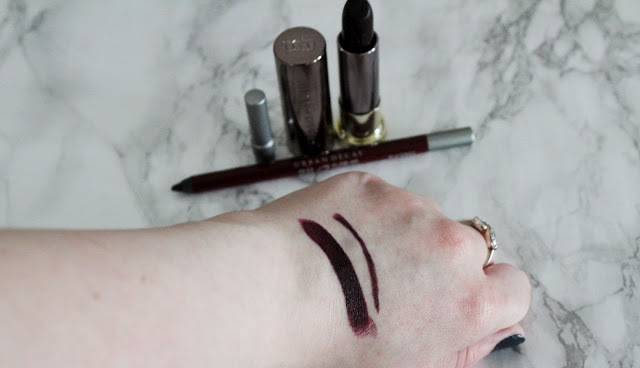 For both the lipstick and the liner and as a duo it's 5/5 all around! That's it for this review. Thanks so much for giving it a read! I hope you enjoyed! 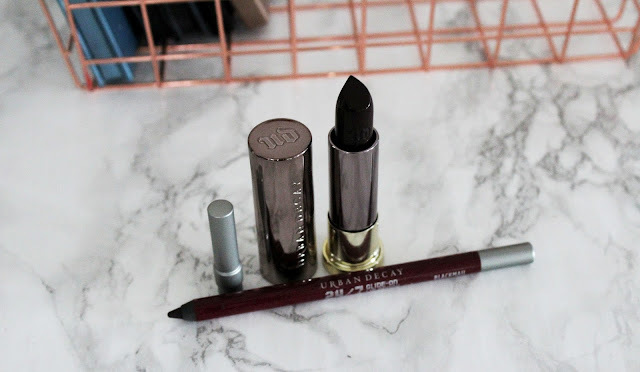 Have you tried the Urban Decay Vice Lipsticks or the 24/7 Lip Pencil? What did you think? Let me know your thoughts in the comments below! I have been searching for this shade all my life. It is amazing! I can't wait to finally wear it out!